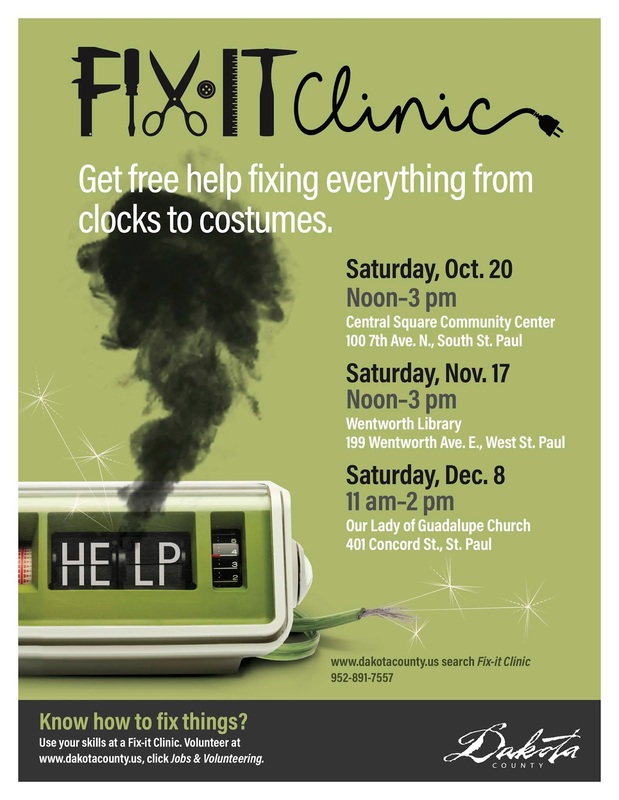 Stumbled across this flyer from the Dakota County (Minnesota) Fixit Clinics: love the imagery! We’ve got lots of Fixit Clinics this Fall: are any of them near you? New Volunteer Fixit Coaches and fixing families are always welcome -- the more the merrier; sign up at goo.gl/xS1MRK. We look forward to seeing you at an upcoming event! The story's heartwarming: Jo's father was part-way through refurbishing this vintage three spindle Hamilton Beach commercial milkshake mixer when he passed away. Jo was determined to complete the repair for him and attended last month's Castro Valley Library Fixit Clinic to get help. At yesterday's San Leandro Library Fixit Clinic Jo finished up with the mixer and made milkshakes for all the Fixit Coaches -- yum! It's stories and fixes like this that make Fixit Clinic so satisfying. And while we don't get fresh milkshakes at every Fixit Clinic, Jo's repair made these taste even more special. A new report from CalRecycle entitled “Future of Electronic Waste Management in California” recommends incentivizing greater repair and reuse of electronic devices. It’s the first time we're aware of that California (or any state) has recognized and legitimized repair (and reuse) as alternative strategies to recycling. This is a big step in the right direction, we're excited. 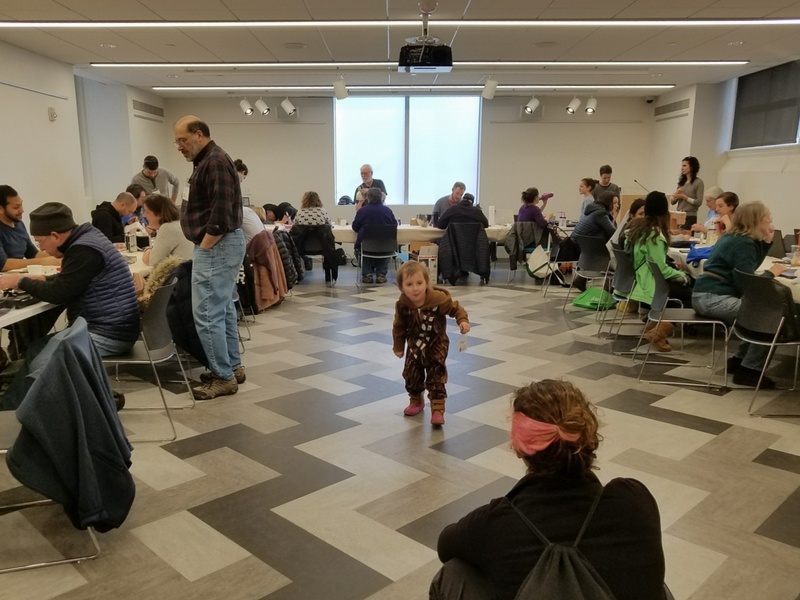 All in all, a great kick-off event to Fixit Clinics at the Berkeley Public Library, we'll be at the North Branch in a few weeks. Another two-toaster day, both fixed! Everyone had a great time: looking forward to the next one! A rare Tuesday afternoon Fixit Clinic at the Cabot Science Library in Harvard's Science Center. We saw a ton of zipper issues on winter coats - all fixed! Headphones, toothbrushes, and lamps -- all fixed! This Thomas the Train humidifier was worked on by young and old but ultimately deemed a lost cause. There's interest from many colleges and universities in incorporating Fixit Clinics into the design, engineering, environmental science and sustainability curriculums: we look forward to future collaborations with Harvard and others. What better way to brighten a cloudy February Massachusetts day then to hold a Fixit Clinic. It was nice to have a great bunch of Fixit Coaches and participants at the Presentation School Foundation Community Center in Oak Square. All in all, a wonderful day. Looking forward to the next one! 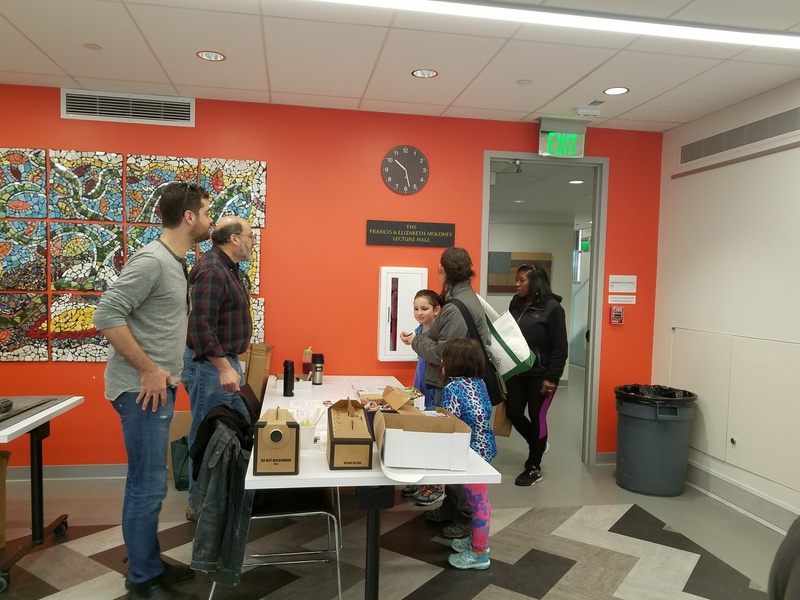 What a terrific event we had last Saturday at the Presentation School Foundation Community Center in Brighton! We had about 30 visitors who brought in lamps, a bicycle, several garments, fans, clocks, a toaster, headphones, a stereo, a turntable, a sewing machine, a laptop, an umbrella, an iPod, some jewelry and at least 25 blunt knives. We fixed about 50% of the items but provided useful suggestions for about 25% more. 'Thanks to everyone who helped out at the JP Fixit Clinic yesterday. It was by far our most successful event yet with over 50 community members (not counting family members and other non-fixing visitors) learning how to repair all sorts of things, including two identical counter-top mixers, toasters, radios, record players, jewelry, clothing, computers, a hand-held ultrasound machine, juicers, printers, a doll's bed, chairs, a wall clock, cameras, hair dryers, an electronic keyboard, bubble makers, handbags, a pile of car key remotes, DVD players, a knife sharpener, a bike wheel, a slide viewer, a reel-to-reel player, and as always, more lamps than I ever thought possible." 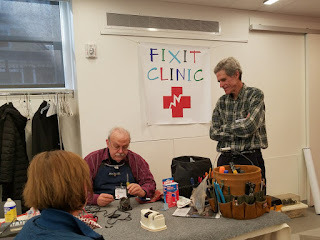 The next Fixit Clinic for the Jamaica Plain Library is scheduled for Saturday, April 7. In the meantime, if you're fixin' for some fixing in Eastern Massachusetts: check out the upcoming Fixit Clinics in Brighton on Feb 10 and at Harvard on Feb 13. This laptop had broken hinge attachment points. Absent replacement pieces: the only hope is to drill through the existing case and attach bolts or rivets. He brought the replacement display but was uncomfortable unplugging the ribbon cable attaching the old display. The fabric and textiles team was in full swing and repaired many items. A great way to spend a mid-winter's Saturday, looking forward to the next one!